A tranquil Winter Cove on Saturna Island. How can an island so close to the mainland be so quiet? The answer lies in the getting there. It’s only 14 nautical miles from the Tsawwassen terminal as the crow flies, but the trip involves two ferries, and can take over three hours. The journey is so scenic, however, that most visitors consider this a bonus — two ferries for the price of one. How can an island of only 350 residents offer so much? It’s home, for example, to one of Vancouver’s former outstanding chefs, who now serves up gourmet meals to grateful locals and amazed visitors alike at the Saturna Café. It’s home to the general store beside the café, a bright, well-stocked market selling ethnic and organic food that would be at home on Granville Island. It’s also home to a summer market Saturday mornings on the general store grounds, and to several excellent B&Bs, including the idyllic Saturna Lodge. Visitors will also find attractions like kayaking and whale-watching tours. It also supports a store, and a bustling pub and restaurant at the ferry terminal, where an ATM and the sole gas pump is also located. You may need it if you explore every nook and cranny on this easternmost island. Distinctly divided into northern and southern sections, and intersected by a valley running from Lyall Harbour to Narvaez Bay — site of the walk-in-only campground, the north side is dominated by forests encircling Mount Elford, while on the south side, Mount Warburton Pike rises 409 metres over Plumper Sound, one of the island’s best hikes and viewpoints. 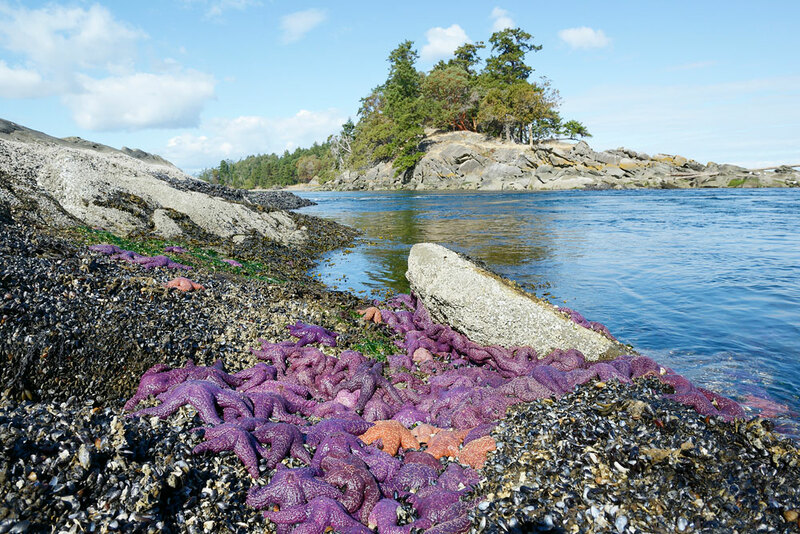 Nearly 45 per cent of the island is in the Gulf Islands National Park Reserve, making it by far the most natural of the Southern Gulf Islands visited by ferries. Cyclists heading to East Point Park who manage the initial steep grades on East Point Road after leaving the ferry will soon roll along one of the most beautiful routes on the islands. Arbutus drape over the road on one side while the Strait of Georgia laps on the other, and the 2.5-hectare park at the end is ample reward. Explore the eroded, multi-coloured sandstone shoreline pocked with tidal pools, and take the trail by the lighthouse that leads to a perfect picnic site above Boiling Reef. 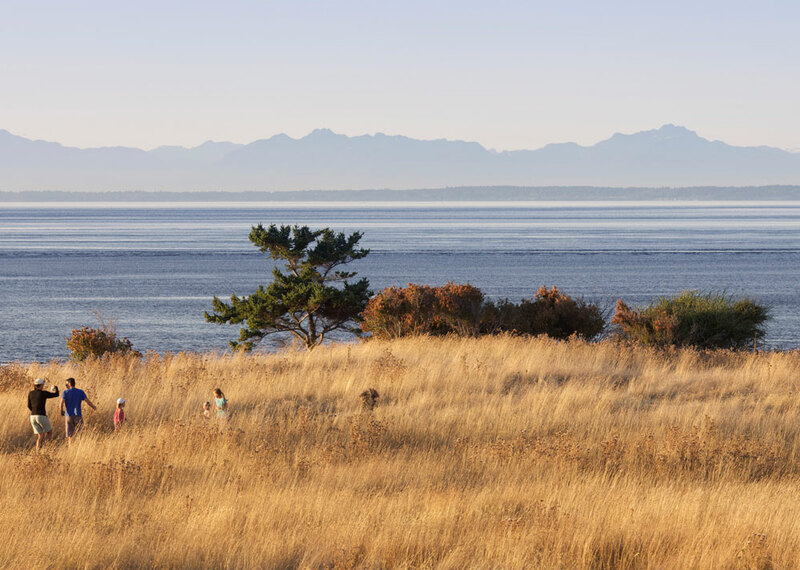 Mount Baker may rise over the strait, killer whales may be passing by, and the iconic fog alarm building, recently saved and restored into a tiny museum, may just be open. Nirvana can even kick up a notch if you stay for the sunset. At the road’s western extreme is another magical spot: Winter Cove. 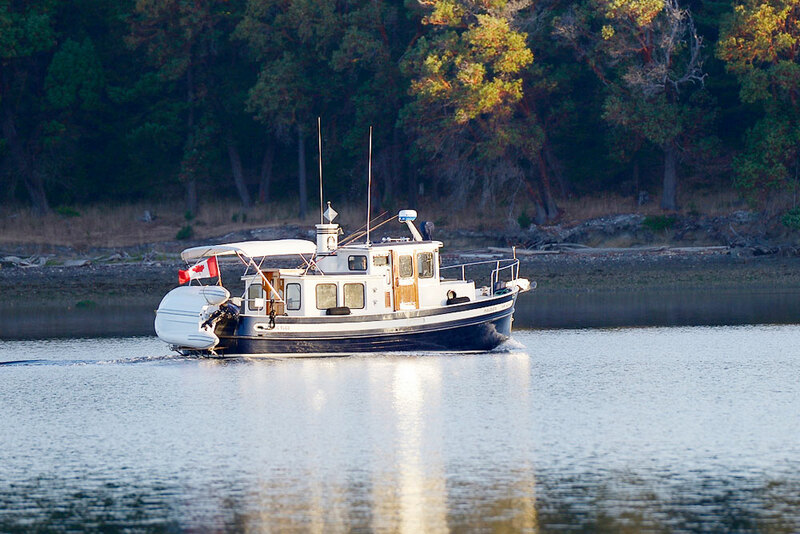 Boaters know it well; their vessels can frequently be seen anchored in the cove. 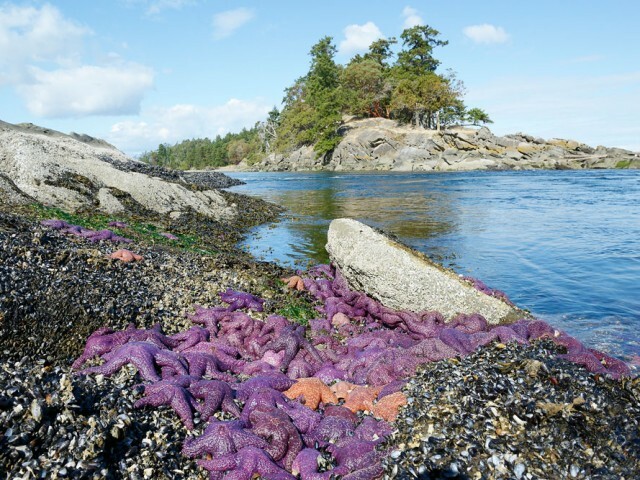 Gentle forest walks here take visitors to slim Boat Passage between Samuel and Saturna islands, where the waters of the strait and the Gulf Islands play a predestined tug of war. Picnic tables, toilets and a beach add to the attraction. What do locals do here, might be the next question. Who hasn’t heard of the famous Canada Day lamb barbecue? Originally a school picnic held on the Campbell family property in 1950, it has since grown to a huge event that now takes place in the spacious fields across from Winter Cove. The Lions-sponsored Robbie Burns Night in late January, the Prawnfest dinner and dance, Mother’s Day brunch and the firefighters’ November pig roast are other annual festivities. Also be sure to check out the huge community hall and recreational centre. 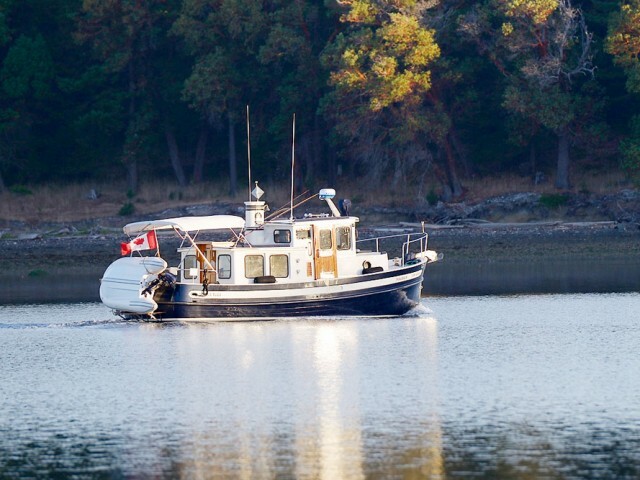 The Saturna Island Community Club is responsible for many of the island’s amenities and services.